What went down on the day. 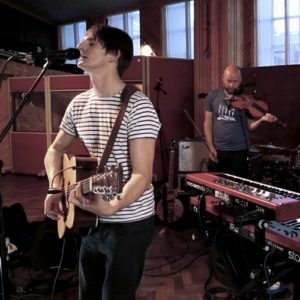 Lending their instrumental and vocal talents on the day were the indie-folk band The Leisure Society. In the live room with them was our very own Les Mommsen, who took the audience through the process of achieving clean and natural recordings, through mic placement, before even touching the desk. Among his arsenal of microphones were the DPA 4099, 2011, 4018V as well as Sony’s C-100. Providing crystal clear monitoring in the control room we’re the guys from Quested who brought along The Q212 system as well as a pair of V2108s, and V3110s. We hope you agree the results are fantastic. Check out the video to hear the end result.